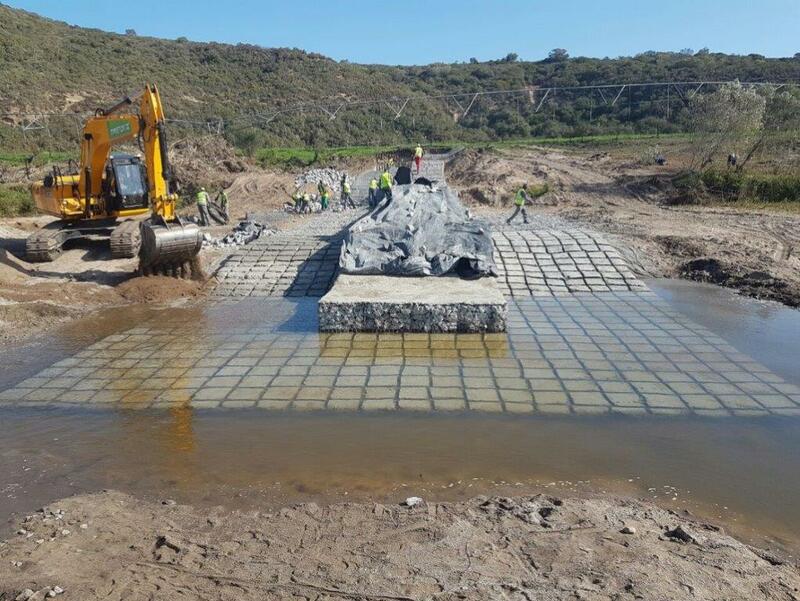 Casidra is implementing a R24 million project to construct 27 gabion groynes over a stretch of 3 kilometers, which includes landscaping and planting along the Brandwacht River near Brandwacht. This is a Western Cape Department of Agriculture project and is situated in the vicinity of Ruitersbos between Mossel Bay and Kleinbrak, and the work is part of the Disaster Management Programme. It will continue to be in the construction phase and is expected to be completed by the end of August 2018. The risk overview was taken into consideration to ensure smooth implementation, which includes a type of contract general conditions for the civil engineering sector, all necessary insurance, financial management, health and safety, and the appointment of an environmental consultant for the full duration of the contract. The Project Manager, Jacques Swanepoel said, “this is high intensive technical project and Casidra is working with a high skilled contractor to roll out the implementation successfully. Unfortunately, we cannot take any chances”. The Expanded Public Works Programme (EPWP) is one of government’s key programmes aimed at providing poverty and income relief through temporary work for the unemployed. It is a nationwide programme covering all spheres of government and State-Owned Enterprises. The programme provides an important avenue for labour absorption and income transfers to poor households, in the short- to medium-term. EPWP projects employ workers on a temporary or ongoing basis with government, contractors or other non-governmental organisations under the Ministerial Conditions of Employment for the EPWP or learnership employment conditions. Increasing the labour intensity of government-funded infrastructure projects. Creating work opportunities through the Non-Profit Organisation Programme and Community Work Programme. Creating work opportunities in public environment and culture programmes. Creating work opportunities in public social programmes. To encourage greater participation in the programme and community ownership of it, Casidra sourced four contractors who were appointed for invasive alien clearing follow-up and maintenance work along the Berg River following initial specialised clearing work that took place from 2014 until 2016. The target for this initiative is to provide job opportunities and social development opportunities for a minimum of 55% unemployed youth, 55% unemployed women and 2% unemployed participants with disabilities. These contracting teams form part of the EPWP through our Department of Environmental Affairs Working for Water Project and a total of 48 participants form part of these four teams and will be provided with job opportunities until the 31st of March 2018. As part of the projects’ social development initiatives, the contractors and all participants were provided with development opportunities through accredited training and non-accredited courses to enhance their awareness, skills and qualifications before commencing work on site. 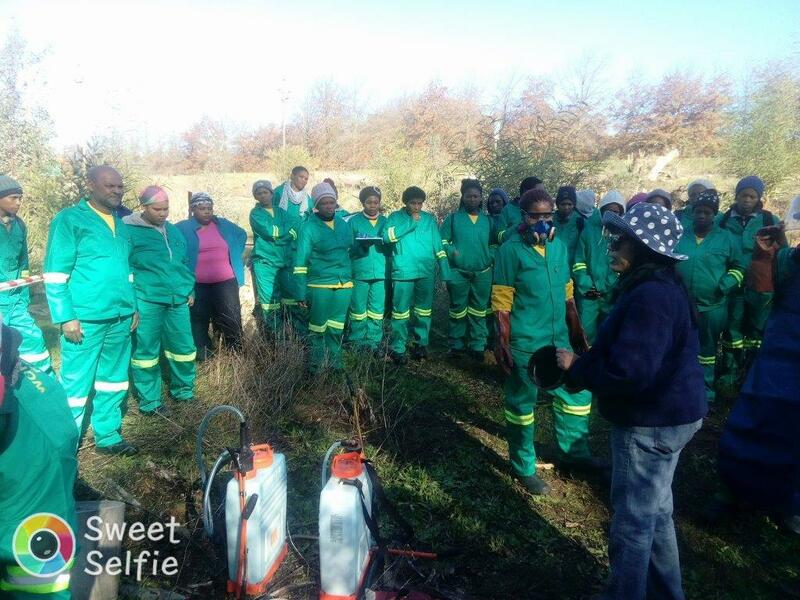 Casidra arranged various training courses, which include First Aid, Health & Safety, Herbicide Application, Fire Fighting and Plant Identification for the participants. This forms part of many more social development initiatives that will be implemented by Casidra for this programme.